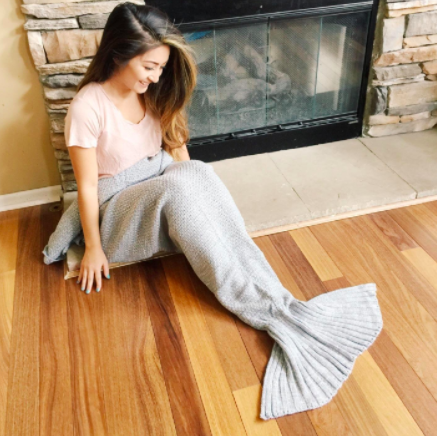 38 Cozy AF Things That'll Make You Say, "Holy Crap, I Love Winter!" FIRST SNOW AND I'M FEELING ALIVE. 1. A pair of heated s'mores slippers that'll melt your heart as fast as they'll warm your piggies. 2. Faux fur arm warmers with finger openings so you can text without freezing your ducking hands. Get them from Free People for $38. Also available in pink. 3. 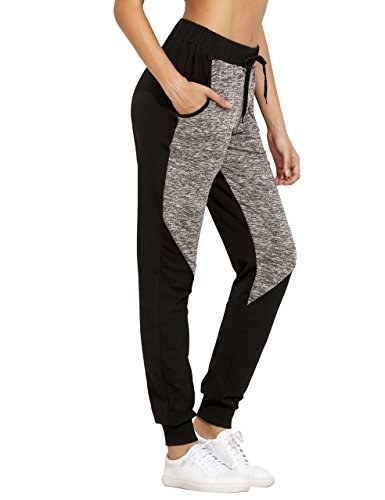 A pair of fleece-lined leggings, because you should still feel like you're under a thousand blankets even when you leave the house. Get them from Amazon for $10.99+ (available in eight colors) or Walmart for $9.39 (available in six colors). One size. 4. A bluetooth double-knit beanie with a built-in headset and headphones so you can drown out the sound of children making snow angels while you're forced to walk to work. Harrumph. 5. An oversize thick-knit sweater to feel like you're in a constant bear hug as you make a mad dash to work. Get it from Amazon for $22.99+. Sizes: S–XXL. Available in seven colors. 6. A pair of fuzzy socks that'll double as a quirky accessory for the boots you'll inevitably wear every day. Get them from Free People for $14 or three for $30. Get it from Nordstrom for $149.95 or Amazon for $134.96+. Sizes: 5–11. Also available in black. 8. A longline hooded boucle jacket for an extra-thick ally as your boss lowers the damn thermometer again. 9. A cowl neck sweater dress so you can look stylish without freezing your tuchus off. 10. A faux fur trapper hat for days that call for nothing less than extreme bundling. Get it from Urban Outfitters for $24 (originally $39). Also available in black. 11. 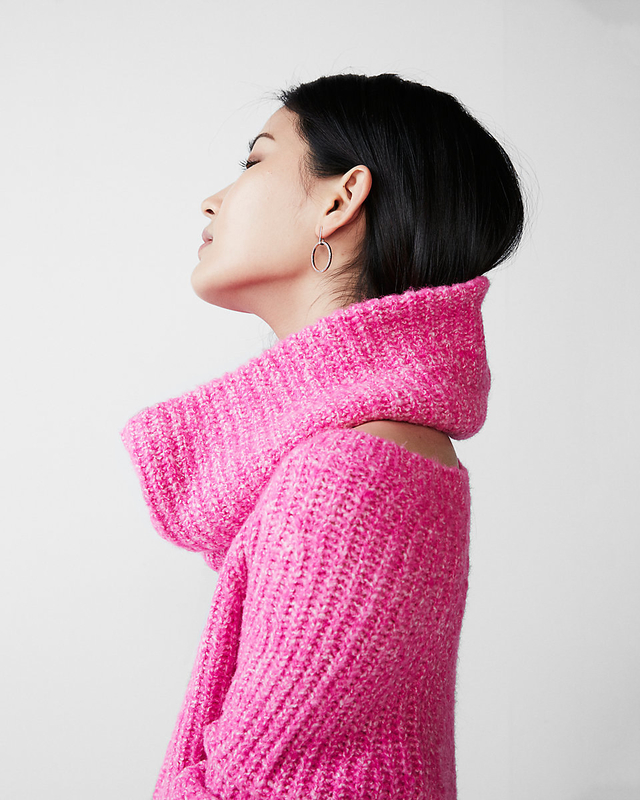 A knitted turtleneck poncho, because a one-and-done option is key when you wake up and the sky is still pitch black. Inspiration = nonexistent. Get it from Amazon for $26.99. One size. Also available in tan. 12. A pair of faux shearling lace-up booties for a welcome refreshment from clunky, heavy-duty options. 13. A set of extra-soft, 100% cotton flannel sheets so you can give hibernation a whirl. Each set includes one fitted sheet, one flat sheet and two pillowcases (one pillowcase for twin size). SLEEPTIGHTDON'TLETTHEBEDBUGSBITE. 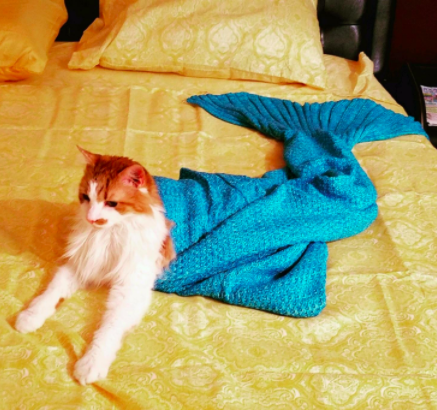 Promising review: "These sheets are very soft and warm. I love that they are 100% cotton because they are breathable — I like to be cozy in the winter, but not sweaty! The pockets are also really deep and fit over my thick mattress." —Sarah M.
Get it from Amazon for $39.99+. Sizes: Twin–King. Available in 10 colors. 14. A pair of chenille mittens that'll make it feel like the abdominal snowman himself is holding your hand. In a good way. Get them from Urban Outfitters for $12 (originally $18). Available in three colors. 15. A frill sleeve sweater, because winter storms aren't the only thing that gets to be dramatic. 16. A heated toaster pillow to spoon throughout the night for the happiest sleep of your life. 17. A faux fur sweatshirt for days you wonder why you weren't born a polar bear. SO MUCH FUR. SO MUCH WARMTH. 18. An embroidered sweatshirt so darn cozy you'll find yourself purring. Get it from Amazon for $33.99. Sizes: S–XXL. Also available in black. 19. A shaggy faux fur blanket that'll be the only cuddle buddy you need — everyone else will just hog it. 20. A pair of non-slip, sherpa-lined slipper socks for dipping your toe into never leaving the house again. Get them from Amazon for $12.99+. Available in adult, toddler, and kid sizes. 21. A super-duper soft turtleneck sweater dress to feel extra toasty even though you aren't wearing pants. Get it from American Eagle for $29.97 (originally $59.95).Sizes: XXS–XXL (tall sizes available). Also available in rose. Get it from Amazon for $24.95 (available in eight colors) or Walmart for $13.99 (available in teal). 23. A sweatshirt with faux fur sleeves that'll keep you so warm, you'll wonder why we ever evolved. Get it from Boohoo for $35 (originally $49). Sizes: 12–18. Also available in white. 24. A a pair of fur-lined bootie slippers, because sometimes extra measures have to be taken even when indoors. Get them from Amazon or Walmart for $19.99. Sizes: S–XL. Available in six colors. 25. A slouchy sweater dress for a pop of color when all you see is white, white, and more white. And a bit of yellow. 26. 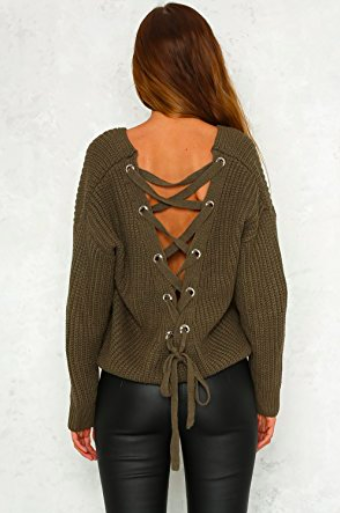 A knit sweater with an open back to literally turn heads year-round. Winter is no exception. Get it from Amazon for $16.99+. One size. Available in five colors. 27. 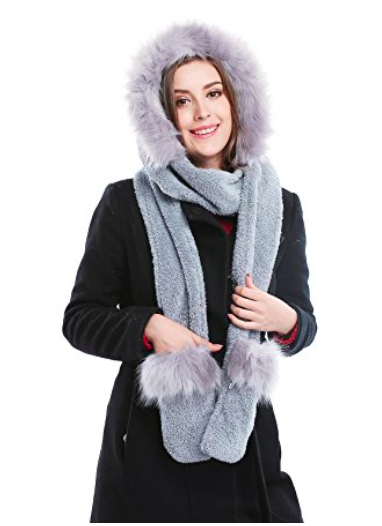 A faux fur headband that could help you fashionably survive in the wilderness for months. 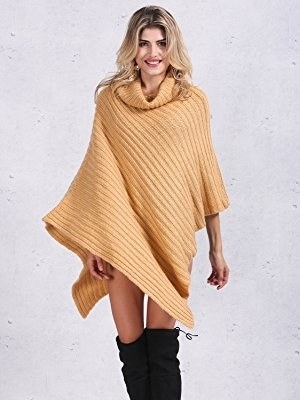 Get it from Free People for $38. Also available in blush. 28. A faux fur sweater so bitter winds are no match for you and your new fuzzy friend. 29. A heated electric blanket, because if you're going to watch Netflix for 14 hours straight, you're going to do it right. Get it from Amazon for $34.99. Available in seven colors. 30. A knit beanie with a faux fur pompom to put a cap on never-ending boring winter hats. Get it from Tobi for $14 (originally $20). 31. A plaid blanket scarf you can wear wrapped around your neck or as a shawl. Tldr: This is never leaving your side. 32. 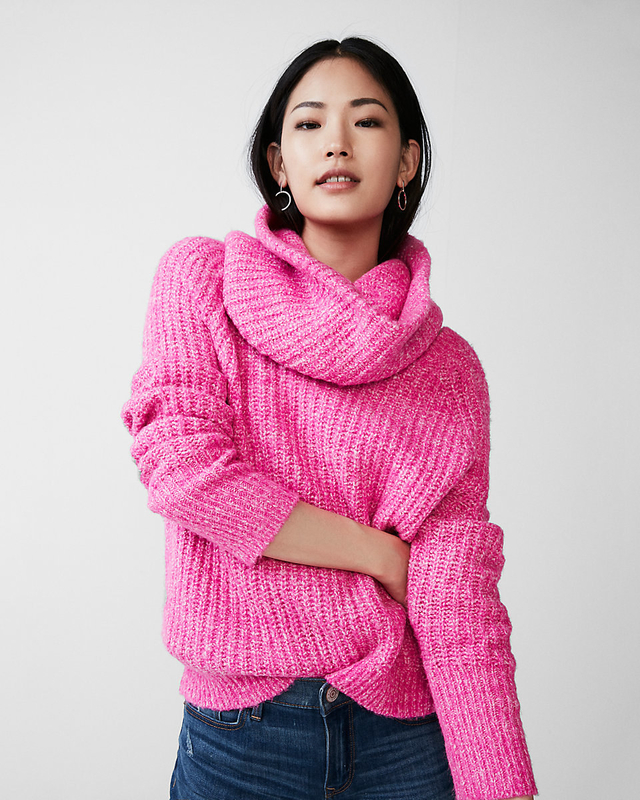 A thick sweater with a removable snood for an emergency backup when you walk in the door and it's only about two degrees warmer. Get it from Express for $39.95 (originally $79.90). Sizes: XXS–L. Available in three colors. 33. A crushed velvet puffer with padded quilting so you can show winter you're not growing ~soft~. Get it from Forever 21 for $27.93. Sizes: S–XL. Also available in silver. 34. 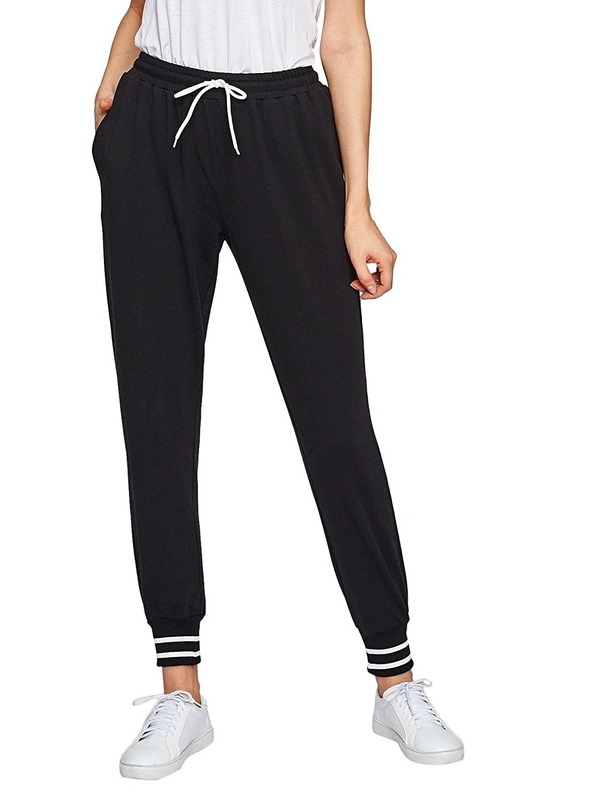 A pair of stylish sweatpants that'll make you look cute even when shuffling through five feet of snow. Get them from Amazon for $15.99+. Sizes: XS–XXL. Available in 25 colors. 35. A quilted velvet scarf to feel both luxurious and unbelievably warm. 36. A sherpa zip-up hoodie, because people will give you funny looks if you walk outside in a comforter. Get it from Tobi for $35 (originally $88). 37. A chenille sweater simple enough for everyday wear with only a few people noticing. They should get a life. 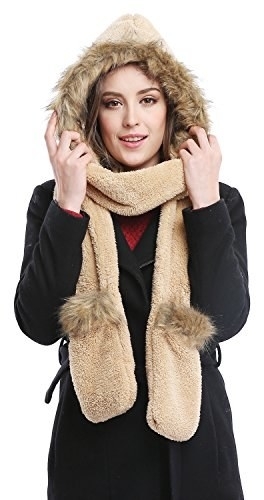 Get it from American Eagle for $22.47 (originally $44.95). Sizes: XXS–XXL. Also available in green. 38. An amazing trio of a hat, scarf, and mittens so you're all ~covered~ lickety-split. Get it from Amazon for $17.99+. Available in three colors. HOW ARE YOU DOING THIS WITH NO PANTS. EXPLAIN YOURSELF, POOH.